We are a family-run retail plant nursery. We have been growing and selling an extremely wide selection of plants here in the beautiful and rugged Scottish Highlands since 1979. We have for sale: Alpines, Bedding Plants, Bulbs, Dwarf Conifers, Ferns, Grasses, Heathers, Herbs, House Plants, Perennials, Shrubs, And a few Trees. 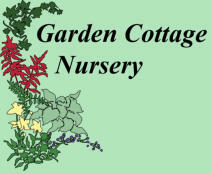 The majority of our plants are grown on site with care and love by Ben and Lesley Rushbrooke. We are not a Garden Centre, so no tearoom or gift shop, all our effort goes into producing top quality and excellent value plants. We offer an unmatched range of plants suitable for the West Coast of Scotland. We have a regularly updated and almost fully illustrated availability list searchable by name, cultural preferences and such, so now you can see just what shrubs we have for windy wet and shady sites. We grow loads of very wind hardy shrubs, like Olearia, Hebe, Brachyglottis, Escallonia and Ozothamnus. We also grow lots of bog plant like Primula, Astilbe and Iris. We’ve also a fondness for woodland plants like Erythronium, Trillium and Kirengeshoma. 10am to 6pm. Monday to Saturday. March to Late October or by appointment. We are near Poolewe in Wester Ross, in the remote & beautiful North West Highlands of Scotland and 2kms north of the world renowned Inverewe Gardens. See our directions page for details of how to get here. The prevailing conditions in our area is lots of salty wind, high rainfall and fairly mild but long winters, as well as lots of poor, shallow, highly acidic peaty soils. ‘Conventional’ gardening difficult here and there is little readily available information on how to grow plants in our conditions. So we have written several informational pieces to help customers choose the right plants. Founder of the nursery Ron Rushbrooke now sells second hand books through the internet, on ebay and from Ron’s Book Bothy upstairs in Poolewe Village Hall above his daughter Alison’s Button Bothy jewellery studio. Ron’s Books can be found on ABE Books and at his ebay Store. Click the logo to see our Facebook page. Lesley will try to post to it fairly regularly to let everyone know what were up to. We are now open again (Mon-Sat, 10am-6pm) after another mild and damp winter. Most plants seem to be starting early this year with many plants 2 or 3 week ahead of last year so get gardening now! To kick off the winter blues we have a great range of spring bulbs, bedding plants, alpines, perennials and even a few early flowering shrubs to bring a vernal splash of colour to your garden. We are now open again (Mon-Sat, 10am- 6pm) after another mild and damp winter. Most plants seem to be starting early this year with many plants 2 or 3 week ahead of last year so get gardening now!